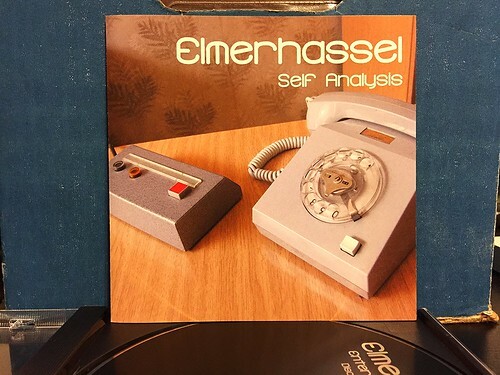 Last week I wrote about part one of the fantastic Elmerhassel discography reissue CD set from Boss Tuneage. You had to figure part two wasn't far behind, so here we go. Self Analysis contains the songs from the John Wark LP, the Pride In Ipswitch 7", a song from a split 7" with Six Pack, a comp song and their previously unreleased first demo from 1991. Like the first part, this second CD is just crammed absolutely full of hit songs. In particular, just about everything from the John Wark LP is so great. Not being a Soccer/football fan, the two "Ipswitch (Get That Goal)" songs are a little bit lost on me, but I'm sure they make more sense in the context of the time they were released. If forced to pick, I probably prefer the first of these two discography CDs, but there is no shortage of Senseless Things/Midway Still style melodic punk from the UK on part two. Really, there's just no way you only buy one of these two CDs. You have to get them both. There is just way too much great music on these to pass up. Elmerhassel may not be a household name in the UK and in America probably even fewer people are probably familiar with them, but this is a band that deserves a lot more attention than they get. I'm thrilled Boss Tuneage reissued all of these classic songs. Now who's going to step up and make the 4xLP vinyl version?